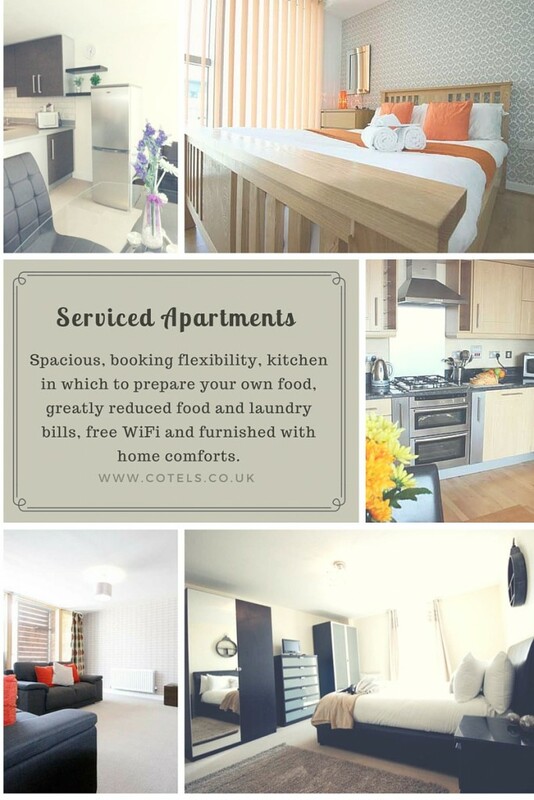 Serviced apartments offer financial savings for relocations, long term business assignments and business travel of a few nights. Most serviced apartment providers take bookings for short or long term stays, a practical option providing guests increased flexibility and privacy over traditional hotel accommodation. Serviced apartments for business travel have become renowned for meeting the needs of the discerning executive requiring individual and homely surroundings. Facilities enable the apartment to be used as an office for meetings or for entertaining. They include a fitted, well equipped kitchen for home dining and catering. Apartment bookings are available that are completely focussed on business travel, offering a workstation, fast internet (included in the weekly rates) and a dining table which doubles as a place to host small group meetings. Once you try a serviced apartment for business travel, and experience the freedom and convenience, you won’t want to step into a hotel room again. A further benefit to those on short-term work assignments is that serviced apartments save on the strain of having to set up internet and the worry about paying utilities. Most providers will ensure that every level of employee and budget requirements can be catered for. Parking, guaranteed internet connection, weekly maid service and a complimentary kitchen and bathroom welcome pack are included in the advertised rates for each apartment. Hotel stays may work for a night or two, but ultimately many people prefer a different kind of space for longer periods away from home for all the above mentioned features. When it has come to finding accommodation, there has been a distinct shift from offline to online bookings. Research studies show that almost 80% of corporate bookings are made online and around 27% of these bookings are made directly on the brand.com through the in-built booking option. 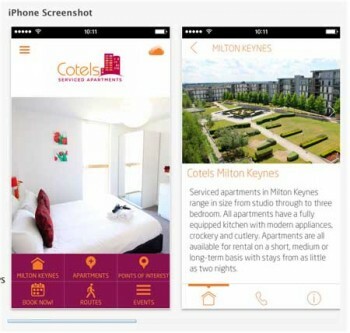 Cotels, serviced apartments at locations in Milton Keynes, Northampton and Luton has adapted to customer requirements and caters to market needs by offering an online booking system and an iPhone App so bookings can be made when on-the-go. The most compelling reason driving the demand for serviced apartments for business travel is that companies have become more cost conscious and are curbing the expense and altering the nature of business assignments.